Blend of natural plant butters and oils infused with magnesium (15% magnesium chloride salts), herbal extracts and extra neem oil. Apply to itchy skin to stop scratching and irritating skin. This aids in healing. 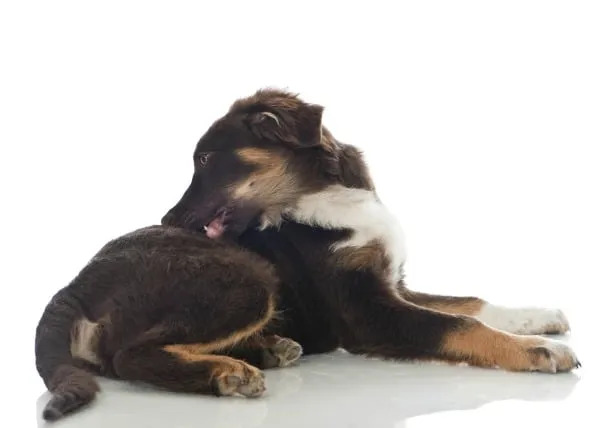 Constant scratching and biting at the site of an irritation can cause the fur to recede in that area. 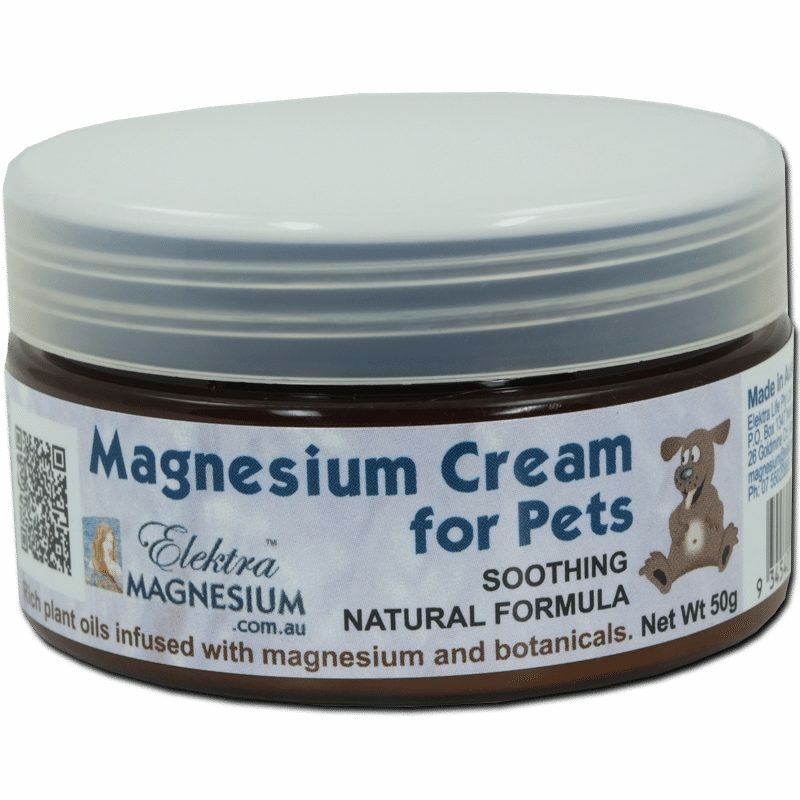 Use a small amount of Elektra Magnesium Cream for Pets on the afflicted area as required. It may tingle, however this is a temporary effect and fades quickly. Avoid application to broken skin as it may sting, but rather apply to surrounding area. After rubbing in about one teaspoon the skin itching calms down and the animal stops scratching or scratches less. Apply regularly every day until the inflammation subsides and the skin returns to normal with fur growing back. The natural oils provide a protective, soothing and moisturising effect. Ingredients: Blend of natural plant butters and oils infused with magnesium (See ingredients Elektra Magnesium Cream – Herbal on FAQ page for Mg Cream. 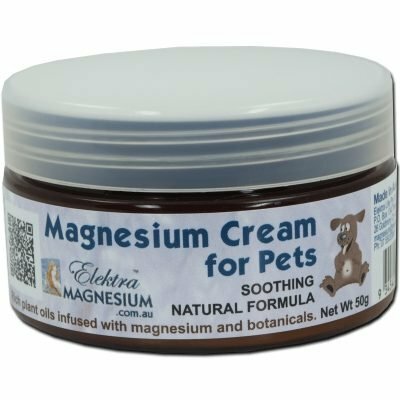 Pet Mg Cream is the same formula, but with extra neem oil). Magnesium cream is non-toxic and contains no parabens, animal products or petrochemical ingredients.